Tide Sans is an humanist modern typeface with beuatiful characters, condensed set, stylistic alternates set, italics and small caps, created by Kyle Benson and published by Kyle Wayne Benson. 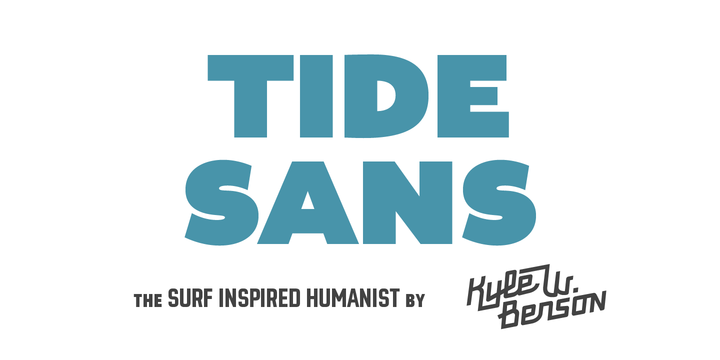 You can check out Tide Sans Condensed ! A font description published on Thursday, December 5th, 2013 in Fonts, Kyle Wayne Benson by Alexandra that has 4,300 views.